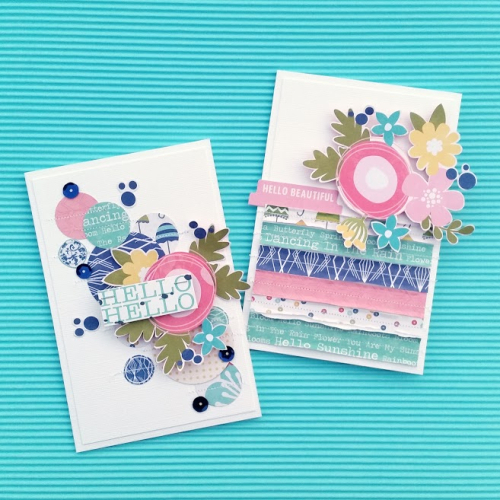 Other: cardstock (white, berry, stone, black), Versamark Ink-white, black, aquamarine, black and white baker's twine, aqua wired cord, jingle bells, corner rounder, white embossing powder. Other: kraft cardstock, dark gray cardstock, Versamark Ink/Aquamarine, Lime Green, Berry, Kraft, turquoise twine, foam adhesive, 3 mm white satin sequins, wood veneer stars, stitched border rectangular dies. Do you need a tag for a large gift this year? 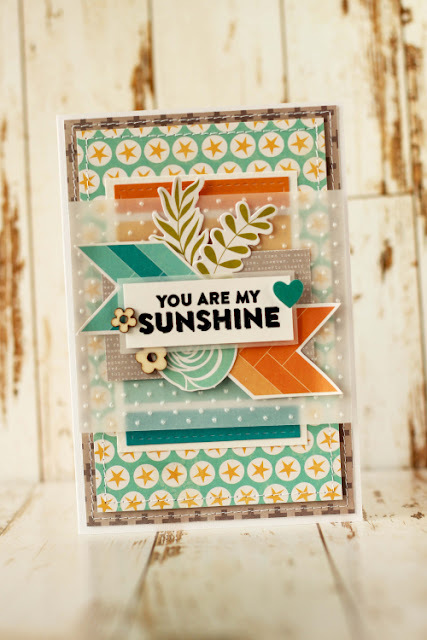 Then this is the tag for you, featuring new Jillibean Soup stamps and papers in a non-traditional color combo. I know, I know- more snowmen? Yep, I simply can’t get enough of them. These ones were stamped onto white cardstock in gray ink and the center one in blue ink. Then they were added to blue and white center panel as shown like a giant snowman family. Then middle family I added some color highlights with copic markers in yellow, gray and blue. That panel was layered onto the blue stars paper and the corners punched as shown. Next I stamped the circle tag in blue snowflakes with the sentiment overlaid in gray ink as pictured. This was all added to a large black tag with the yellow star border strip down the middle. Last I added the beautiful white ribbon through both tag holes and tied off with thin cotton twine. Season’s Greetings at their best and perfect for that special gift tag. 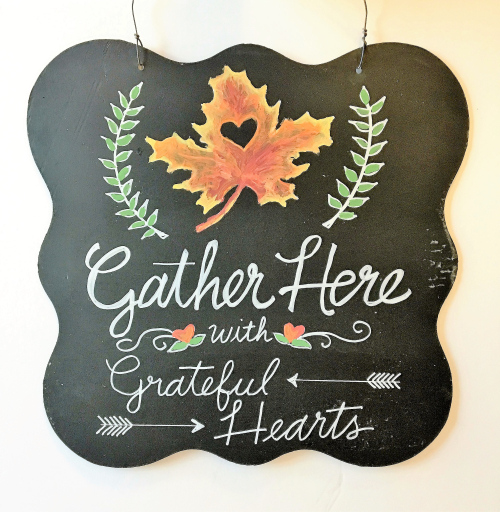 How have you greeted the season, anyone care to share? 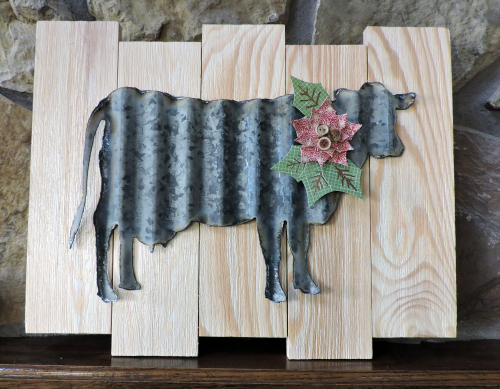 Other: metal cow, buttons, Zing embossing powder, Spellbinders Holiday Layered Poinsettia die cut. Other: silver embroidery thread, red glitter pom pom, and decorative plastic lights (available at Hobby Lobby). I just love snowmen this time of year and this card highlights a snowy couple, created with a new Hampton Art clear stamp set. I stamped the snowman couple in gray ink onto white pearlescent paper first and set aside to dry. Next I cut the two coordinating green mats as shown to frame the snowman panel. Then I chose a red pattern paper to cover the card base as shown. I attached the mats and the panel layered and at an angle as shown. 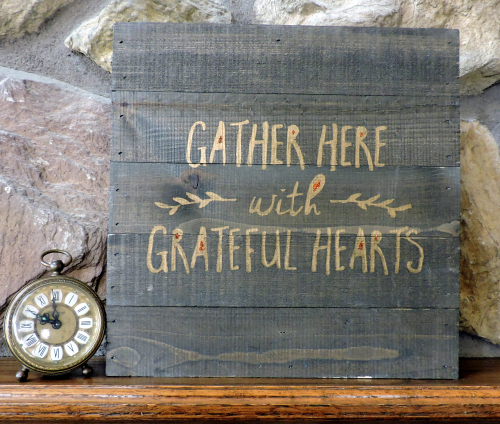 Then it needed some embellishing so I added the wood banners with the sentiments stamped in red ink. 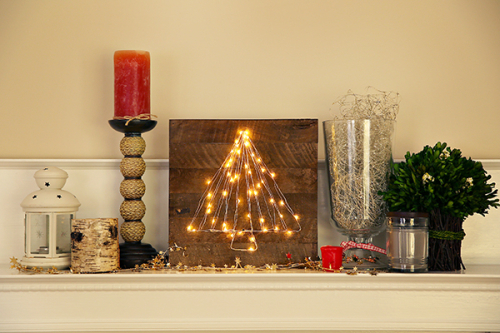 It still needed something more so I added the wood holly and wood heart as pictured. Last I added the red goosebumps as holly berries. Snowmen always warm my heart and this card will hopefully be a gift of warmth as well. May all your deliveries be full of Christmas Cheer this month! One of our favorite holiday traditions is decorating Christmas cookies at my Mom’s house. I tried to capture some of that magic in this card by creating a gingerbread heart “cookie”. 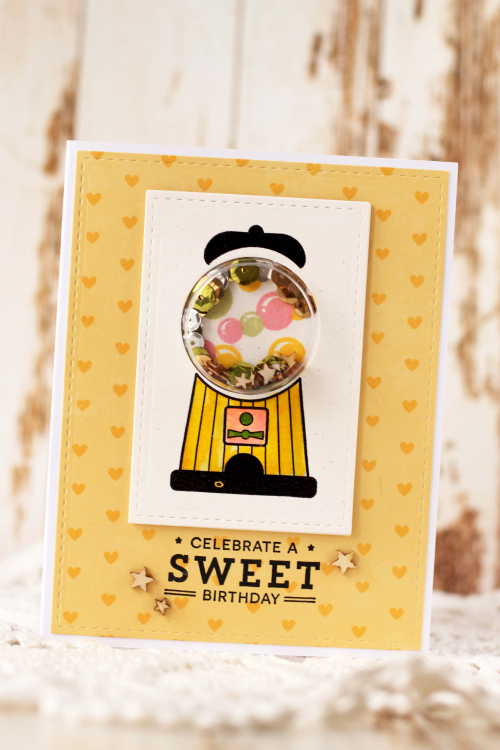 This card features a festive new Hampton Art stamp and die set. This card started with a green cardstock base which I stamped snowflakes onto in gray ink as shown. Next I added the red gingham paper border strip for some homemade appeal using my sewing machine to stitch it on. 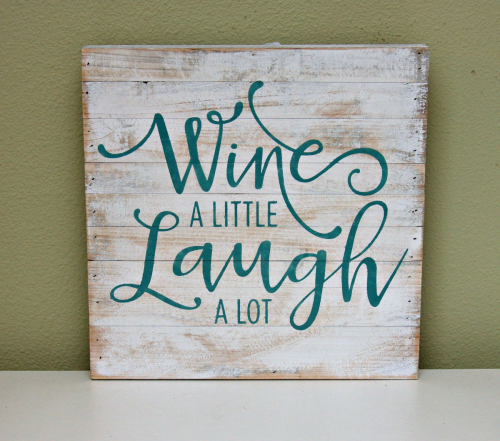 The banner piece was cut out of pearlescent white paper using the matching die that comes with this set. Then the “Wishing you a” sentiment was stamped onto it in gray ink. It was attached to the card base using 3D foam dots. Then I cut out the Merry piece using the other die with this set from white paper. Then I stamped the Merry cutout in green ink. To create the cookie I grabbed a new kraft chipboard heart and used a chalkboard marker in white to simulate icing and sprinkles. 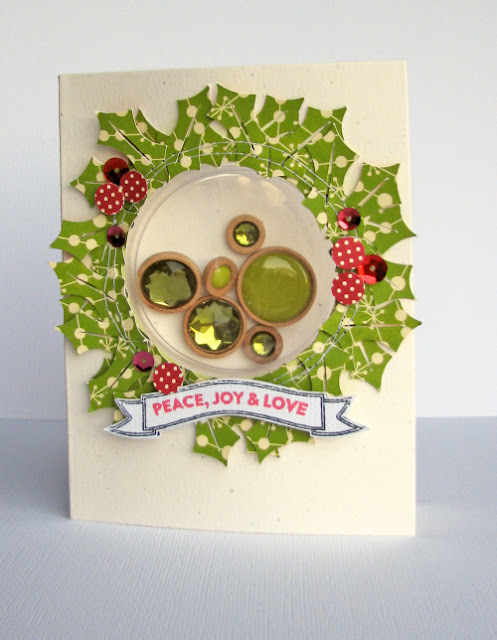 Then I added the red ribbon as shown and attached cookie to the card with 3D foam dots. I attached the Merry cutout to the cookie as shown and then stamped the “very” in red ink onto white cardstock. I also stamped the bottom sentiment onto white cardstock in red ink and attached to card base with regular adhesive as shown. 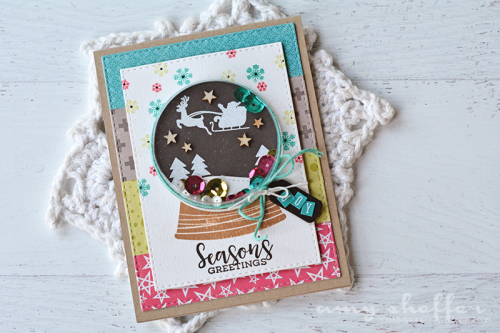 A very merry cookie card was born, I like how it turned out and it reminds me of Grandma’s kitchen. Wishing you happy holiday of baking and crafting this season. Joy to the World and to you this fine holiday season. Here is a card using a brand-new Hampton Art Stamp & Die Set. This card started with a red embossed card base, using a Darice embossing folder called sheet music. 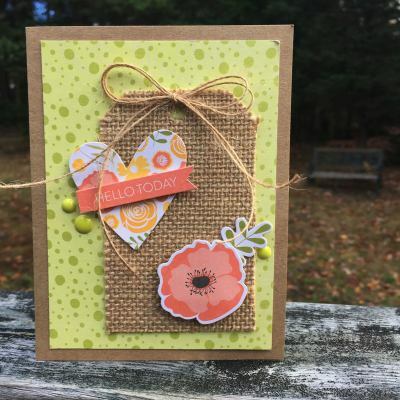 I added a border strip of green polka dots in the center of the card base adding stitching with my sewing machine as shown. Then I stamped the tag in green ink “to the world”. 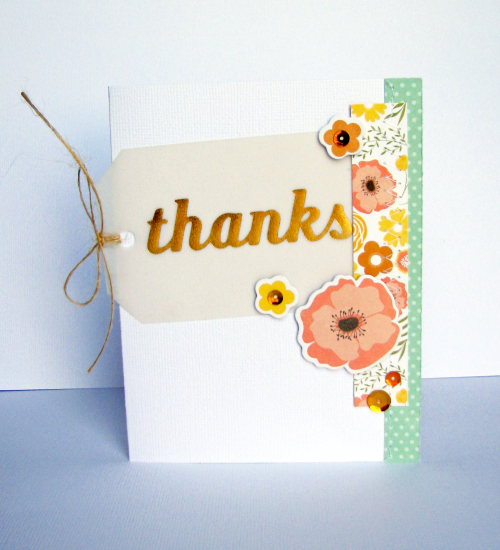 The Joy was stamped in red ink on a patterned wood grain paper and then cut out with the matching die using my Cuttlebug. I popped up the Joy on the tag with 3D foam dots and tied the tag string into a bow. Then I added some thin red gingham washi tape. I also added some green polka dot paper to the tag as shown. 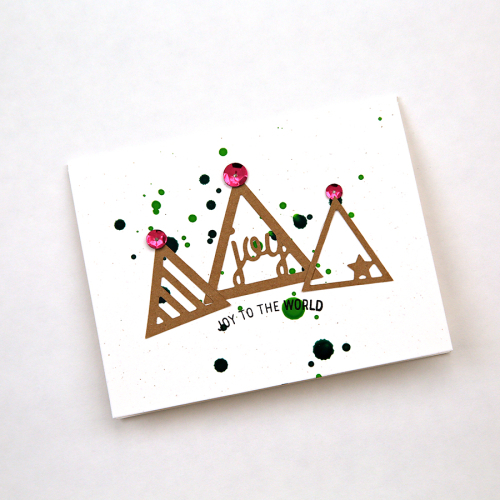 The tag is finally attached to the card with 3D foam dots and the finishing touch is the alternating adhesive sequins in red and green. 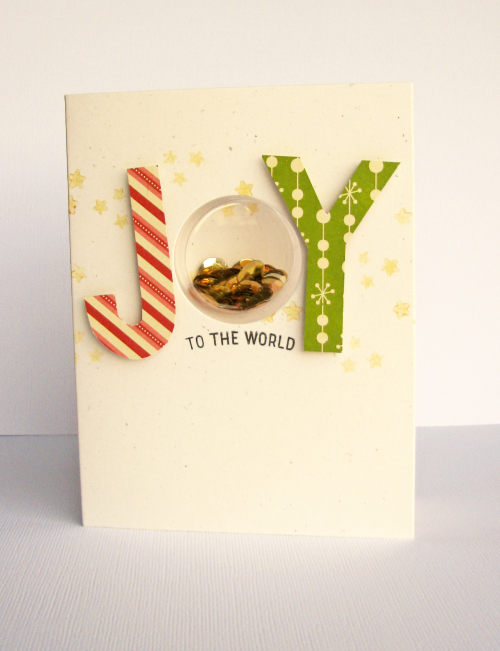 A joyful card is the end result, perfect for sharing this holiday season! 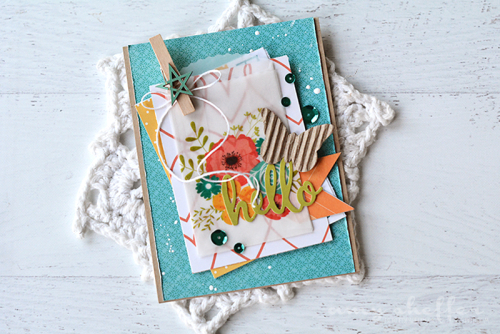 Let us know how many handmade cards you plan to make this year, we would love to hear from you. 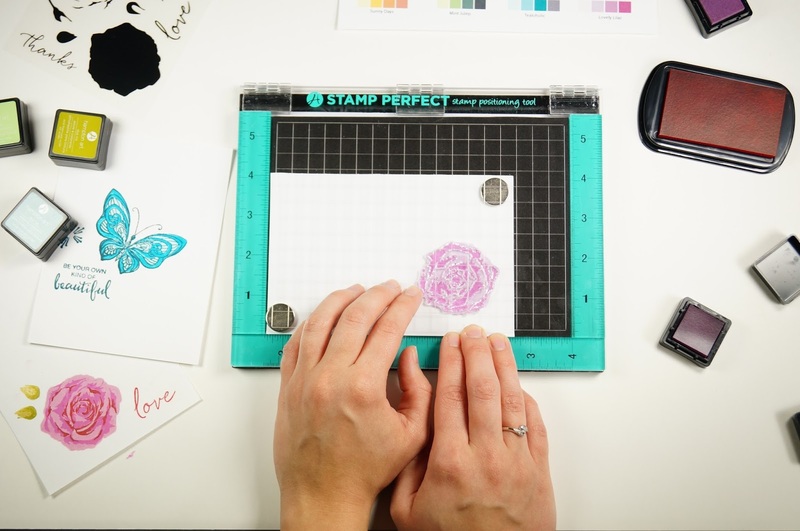 If you haven't heard the great news, we have a new tool that is currently being released to retailers called the Stamp Perfect Tool. 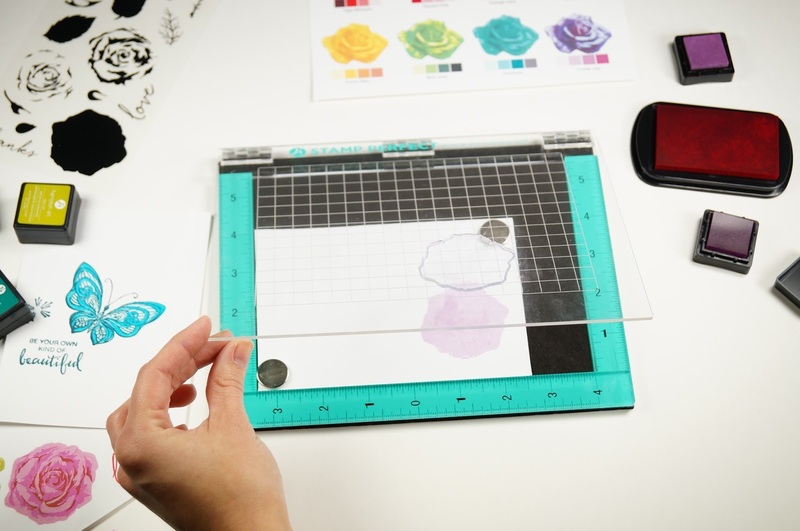 The Stamp Perfect Tool is a hinged stamp positioner that allows you to stamp an image multiple times to create duplicate cards or to fix a poorly stamped image. 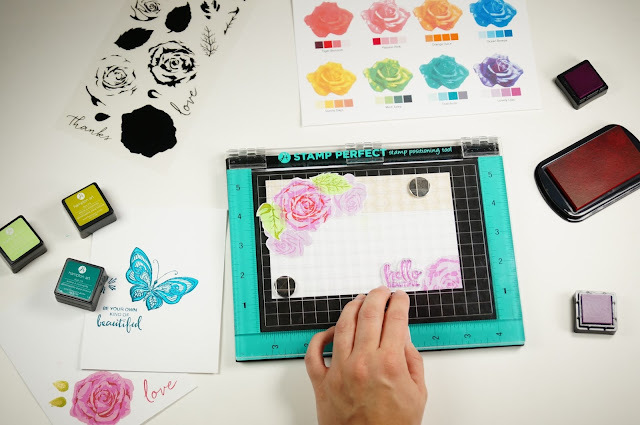 You can also use the tool to layer stamp designs and have them land in the perfect spot each time. 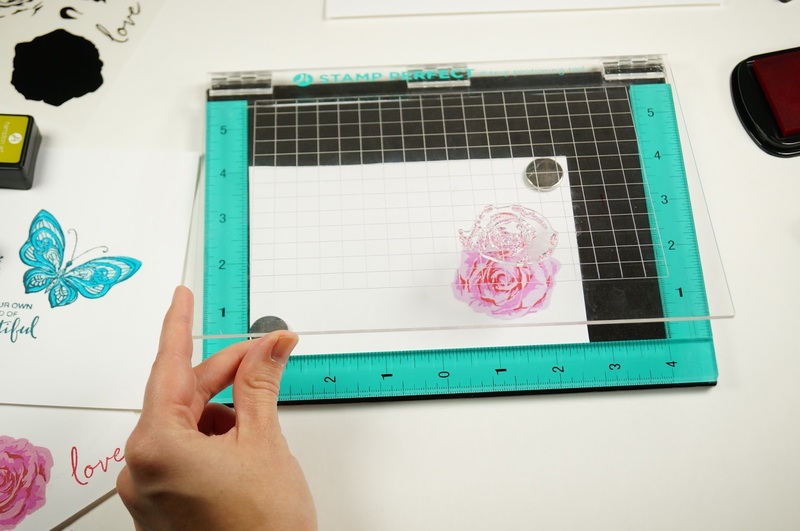 Check out our video demonstrating our great new tool! 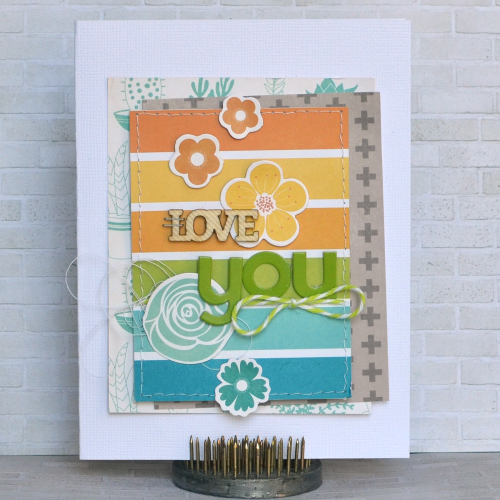 Here are a few more images of the Stamp Perfect Tool in action creating layered stamped images. The best part... the Stamp Perfect Tool retails for $24.99! 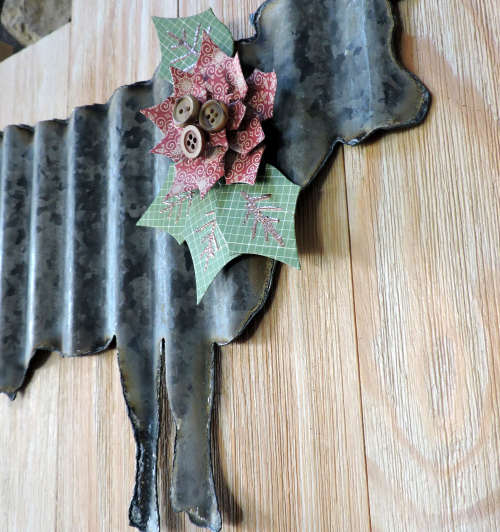 Other: Plaid white milk paint, Craft Smart Chalk Paint, Silhouette Cutting System. Other: twine, Glimmer Glaze, cardstock, and enamel dots. Other: gold Sharpie, glitter, stencil (from Target). Other: Bistro White Chalkboard Marker, paintbrush. Fall is such a fun time of the year and one of our favorite days of the year is the day we head to the pumpkin patch. This layout features Hampton Art/Jillibean Soup clear stamp set and Jillibean Soup Mushroom Medley papers are perfect for all your fav fall pics. I began with a swiss dot brown cardstock base and then added the Jillibean papers with plaid and green woodgrain as shown. Using a PageMaps sketch I Then I chose four favorite photos and trimmed them down to size. Next I stamped in brown ink the kraft tag with tree trunks, Thankful sentiment and stamped the foxes (one in orange ink) on separate kraft paper and then added those with 3D foam dots to the kraft tag as shown. I threaded some doubled up cotton twine through the tag hole and tied a bow. I added the photos to the blue polka dot base as shown and the border punched the top edge. Next I chose some stickers from the Mushroom Medley collection and added them too. The green “for” on the tag are alphabeans and those create the title along with the “family” sticker. 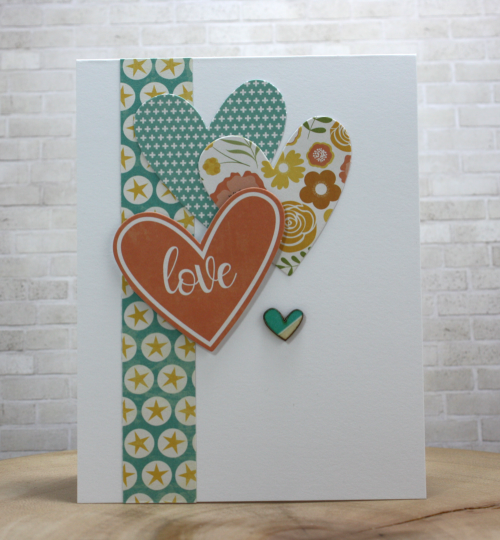 Last I stamped the heart in orange onto the small white jewelry tag and added with cotton twine to the layout as shown. Fall frolicking at its best and now you can capture your special fall photos too and give this layout a try. Wishing you lots of apple cider, cozy hayrides and the best pumpkins in the patch. In an attempt to beat the Holiday rush, now is a good time to stamp up some tags. 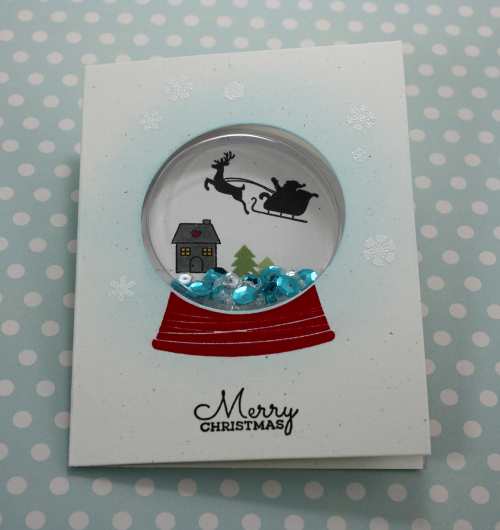 This is a fun snowman trio made with a Hampton Art clear stamp and die set and tags. These tags started with the new Letterpress tags, then I added a patterned paper panel to the center of each using new papers from Jillibean Soup. 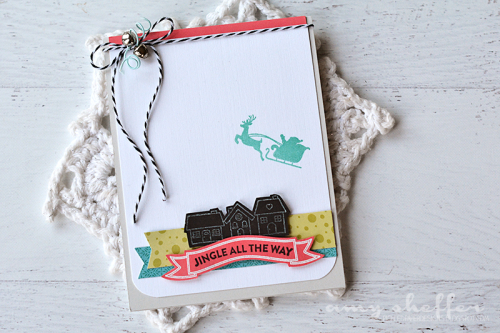 Next I stamped the snowmen onto swiss dot white cardstock using gray ink. Once those were die I got out the die that came with the set and cut each one out using my Cuttlebug. Then I added each snowman to a tag with 3D foam dots. Then I used some Jillibean Soup Chit Chat Chowder stickers to add the text words at the bottom of each tag. Super easy and super fast, perfect for the Holiday rush. Did I mention snowmen are a favorite of mine? How about you what is your favorite Holiday character? 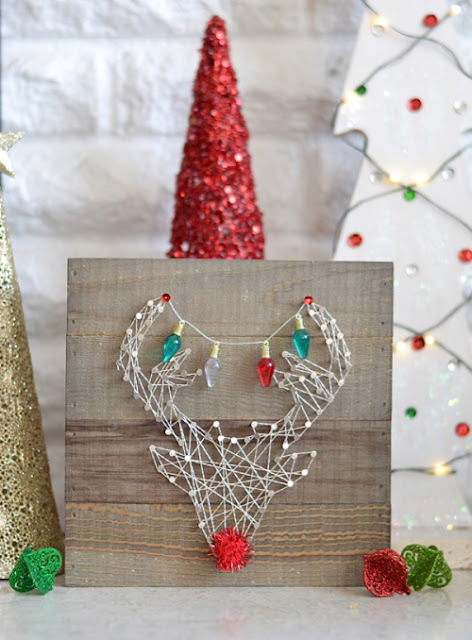 The most wonderful time of the year is almost upon us and it is time to get busy on those Christmas Cards! Here is a somewhat untraditional card created with a Hampton Art clear stamp set and watercolor tag. With this card I was going for an elegant look, so less is more in that case. I first embossed the card with a Darice embossing folder, Birch Trees. Then I stamped the blue watercolor tag with sentiment and extra snowflakes in gray ink and set aside to dry. Next I stamped directly onto the card base using the same ink to make the snowflakes. Then I found some lovely gray ribbon and added to the bottom as a border strip and tied a bow and added to the tag with a glue dot as shown. Then the tag was added to the card base using 3D foam dots. All that was left was to add a tiny gemstone of bling in the center of each of the snowflakes. There you have it, an elegant Christmas card that would not be very difficult to mass produce. This set even comes with a stencil as well. Have you started your Holiday cards? If so we would love to hear about them!